A beloved University Circle institution is widening its footprint to include Ohio City. This fall, The Music Settlement (TMS) will open its doors on the ground floor of The Quarter, a new mixed-use development at the northwest corner of Detroit Avenue and West 25th Street. 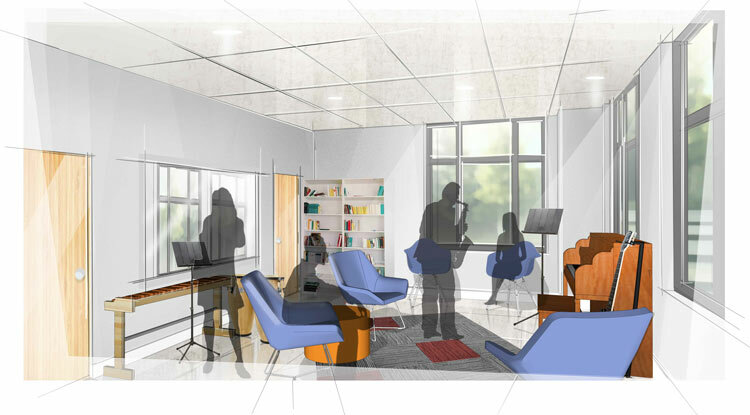 Much like its predecessor in University Circle, the new TMS location will encompass music therapy, music instruction, and early childhood education, but the new location will have a distinctly different feel. While University Circle’s offerings are spread across a campus of five older “legacy buildings,” the Ohio City outpost will be integrated into one brand-new 19,045-square-foot space with a central lobby. 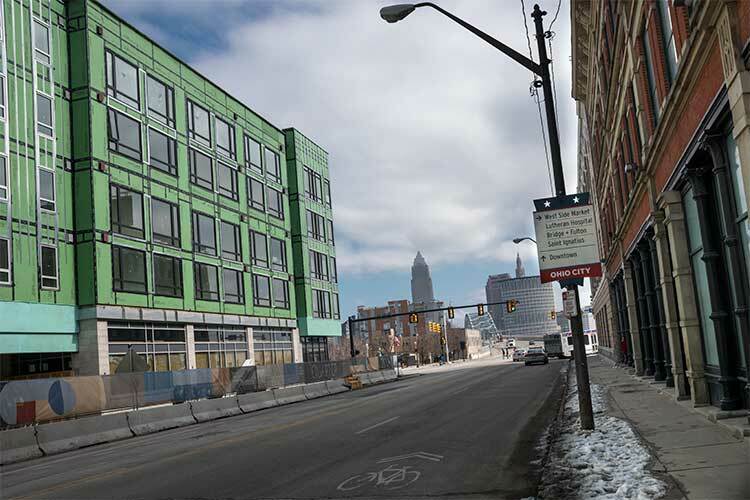 Currently, TMS Ohio City is at about 65 percent completion, on track for final completion in June (which coincides with the first residential move-in dates for The Quarter). On a big-picture level, developer Snavely Group is hopeful that TMS will help reinforce the neighborhood feel for this part of Ohio City—into which Snavely Group is putting a $70 million investment. With all TMS offerings now under one roof, the design of the Ohio City location needed to be highly intentional—accounting for privacy concerns and state requirements for the early childhood education program, soundproofing needs for the residents of The Quarter, and ways to make the space as flexible as possible. Music therapy roomThe chance to build a new space also enabled TMS to “start from scratch” and improve upon various aspects of its long-time current location. For instance, extra acoustical padding has been added to better insulate the music instruction rooms. 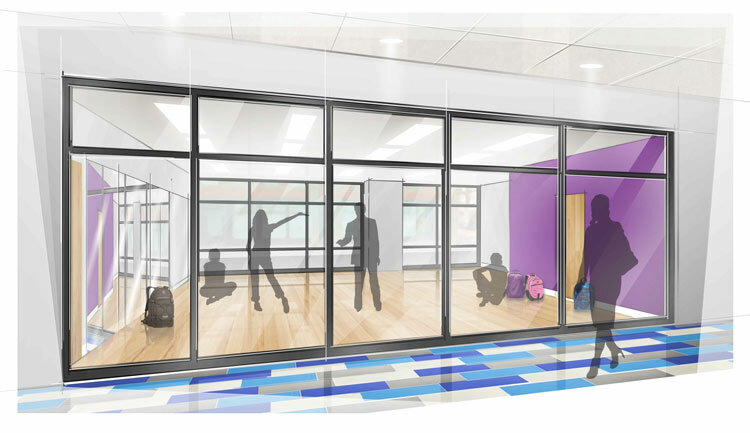 Under the planned design, the Center for Early Childhood takes up almost 12,000 square feet of the total 19,000+ square feet, but Heitlinger points out that the musical aspect will also extend beyond the walls of The Quarter. Dance studioWith that in mind, the left wing is entirely dedicated to the early childhood education program, while the right wing houses the musical programming—but the center area will have applications for both departments, housing a library, multi-purpose room, dance studio, and two early childhood classrooms that can be used for other purposes during off-hours. “The center corridor has a lot of multi-tasking to be done,” says Heitlinger. “This center part allows us to connect with community and [share the] programming that’s happening here for all ages and all creative arts." According to Johnson, the new location has been in the works for about three years. Their decision to expand to Ohio City was largely sparked by the donation of the Bop Stop (TMS' listening room and performance venue in Hingetown). “We didn’t want the Bop Stop to be its own satellite all alone; we wanted to be able to build a community," explains Johnson. The Music Settlement team surveyed several locations along Detroit Avenue in searching for their second home, but Karen Heitlinger says the choice of The Quarter was relatively clear-cut. At the time, developer Snavely Group was seeking a community partner who could serve the neighborhood’s diverse demographic, and The Music Settlement’s all-ages appeal felt like the right fit. 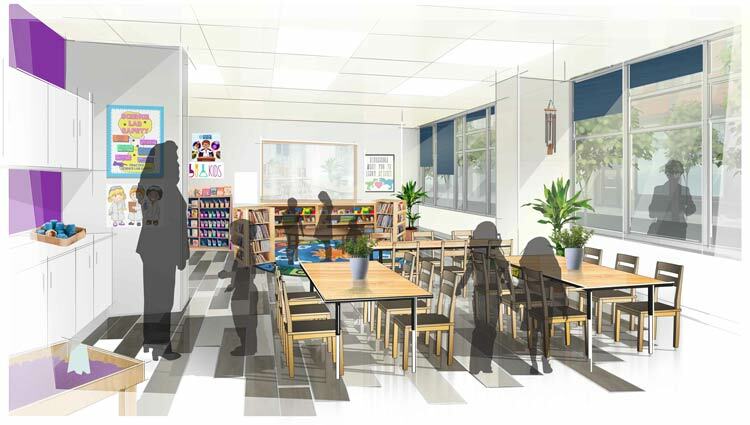 To that end, the Ohio City location will essentially duplicate University Circle’s early childhood education model, but the music programming will be more customized to the new surroundings. Plans include short-term boot camps focusing on various instruments, guitar group classes for all ages, and a new music appreciation track for adults—as well as possibly a rock-and-pop group. To demonstrate their long-term intent to stay in the area, TMS has purchased the space rather than leasing, and they’re especially proud of the fact that the new location will also create 20 new full-time jobs. Johnson, among others, is eagerly anticipating how the new location will play out. "To see it now after talking about it and looking at it on paper for so long is so exciting," says Johnson. "It's for real."